Dennis was raised in Lawrence County, IL and moved to Vincennes in 1984. He first passed the Indiana Real Estate Course and received his license in 1986. Since taking early retirement from Hershey Foods in Robinson, IL, Denny has reactivated his license and became an Associated Broker in 2014. Denny and his wife Judy, an Associate Broker with Klein Real Estate, work as a team. They have 3 children: Allen Massey, Lisa Steel, and Laurie Brady. Thinking of purchasing or selling a home? 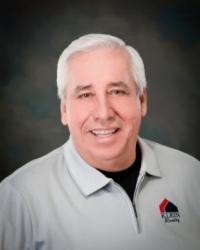 Give Denny a call; he will put his life experience to work for you! Dedication, Integrity and Honesty are top priorities for Denny. Office: 812-882-2202 Ext. 32 or 812-396-8328. Dennis and Judy Massey are tremendous people. We are very grateful for their professionalism and extra time and hours they spent with us in selling our home and help in moving. In fact, I'm ready to sell our house and buy another one just so I can work with them! !